We have an extensive range of Embroidery products based on the fabric type, yarn micron size, weave, dye type, embroidery design and the size. These include Embroidered Cushion Covers, Jackets and Dressing Gowns. 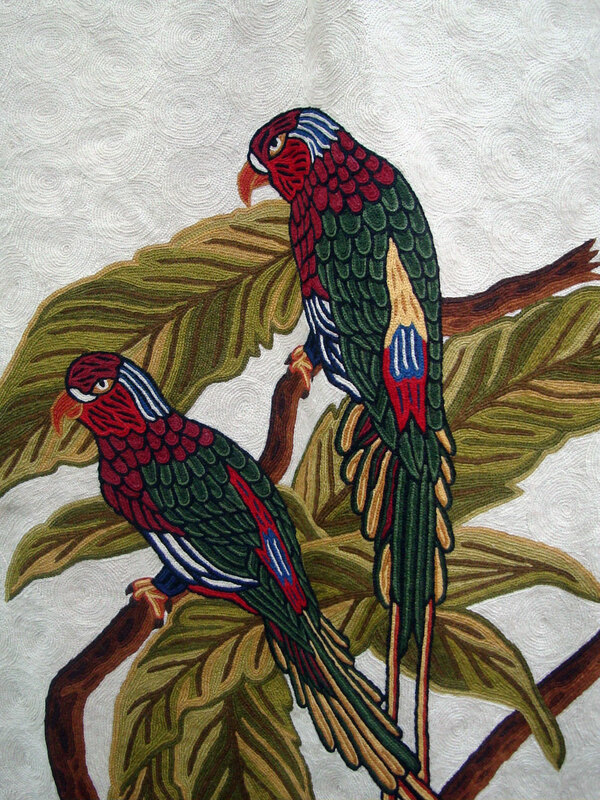 Silk/Cotton needle/crewel work embroidered on soft and luxurious cotton, silk or cashmere and tailored as woollen/silk/cotton ladies dressing gowns or jackets.